White canvas, boldly colored fabrics in solids, stripes, and jaunty prints, rattan and cane seating, whitewashed or colorfully painted English case furniture, canopied beds, straw matting—these are some of the signature ingredients of an Amanda Lindroth interior. 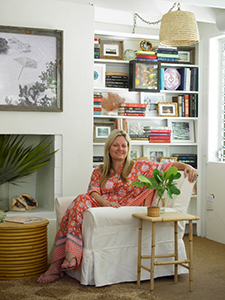 Since she founded her Nassau-based firm in 2010, she has become the go-to designer of island dwellers from Lyford Cay to Antigua, Abaco to Belize, Harbour Island to Palm Beach, and as far north as Great Cranberry Island, Maine. Her airy, relaxed, indoor-outdoor aesthetic—a hybrid that merges colonial and island influences— is apparent in every one of the twenty-five projects featured in Island Hopping. Amanda Lindroth went from writing about fashion for Women’s Wear Daily’s “Eye” column in New York to heading up Gucci’s public relations department in London before moving to Nassau. 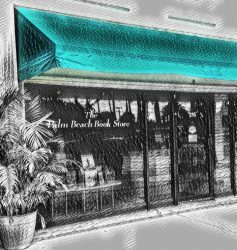 She has opened a second studio and a shop in Palm Beach and has recently launched the Amanda Lindroth Collection, a line of raffia and rattan housewares, totes, and furniture (Vendome).